COMMIT TO THIS ONE ACTION AND WATCH PROGRESS UNFOLD IN EVERY AREA OF YOUR LIFE. Do you want to make your life better? 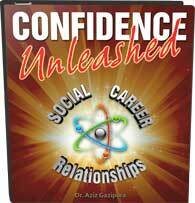 Are you looking for a way to grow in your career, accelerate your leadership skills, pursue a more fulfilling purpose, or connect to people without social anxiety? 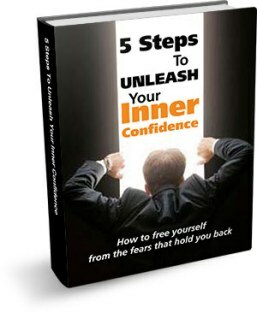 Do you want to rid yourself of fear and self-doubt so that you can walk through life more confidently and create extraordinary relationships in every area of your life? I’d really like for you to stop and think about that for a moment: How much do you really want that thing you’re desiring? Desire can feel very strong, but it can also be a fickle thing. The trick is converting that desire—that raw potential energy—into consistent action and effort over time. If you’re not willing to do that, then you’re not going to get what you want. – I already tried that once, and it didn’t work. – I don’t have time for all of that. – It sounds way too intense for me. These are just stories you’re telling yourself to avoid discomfort. Most of the time, when we try something and it doesn’t work, it’s just because we needed to give it another chance. Very few things worth doing work perfectly the first time you try them. There are several other things, however, that might have been going wrong for you: you might have simply not gone far enough; you might have been using the wrong tools; you might have been in the wrong mindset; you might have simply needed to learn or grow more before proceeding. 99% of the time, however, you simply need to risk more to get what you want in life. Let me use an example from my own life: once upon a time, I was terrified of approaching women. Since I wanted to build up my confidence in this area, however, I needed to get out there and take a chance! At the time, I didn’t know about gradual exposure, so I just threw myself into the deep end right off the bat. Was this uncomfortable for me? Hell yes! But did it break me out of my shell and destroy my once debilitating fear of approaching women? Absolutely. In that case, I was willing to do whatever it took—discomfort be damned—to move forward and accomplish my goal. Even more recently I’ve run into the same situation while creating my training program, Confidence University. Developing this project has been a major undertaking, requiring hours and hours of planning, teamwork, organizing, and recording. At first, I found myself in a state of frustration, not being able to move forward because of time restrictions and the many additional hours of work—there just didn’t seem to be enough time for it all. Am I willing to do whatever it takes to make this thing happen? Sure, it took me getting up at 2:00 a.m. every morning for a few weeks, but with dedicated self-care, very strict scheduling, and a little determination, I got it done. I got it done . . . and it felt great. If you want to go from being a victim of circumstances to being a creator in your own life, then you must take action: decide that it’s worth doing whatever it takes, make a plan, and stick to it. As soon as you take these steps and begin your forward movement, the discomfort and apprehension you once felt will fade into the backdrop—you will immediately start to feel better and more accomplished. When we begin a path toward accomplishment, it only fuels further accomplishment and greater feelings of power and confidence in our own abilities. Please, help everyone in this community join your forward progress by sharing your experiences with this work in the comments below. What motivated you to commit to doing whatever it takes? What sacrifices have you made to succeed? What results have you noticed from this work? I also invite you to subscribe so that you can receive new material as it’s released. Pretty much anything I’ve been willing to do whatever it takes, I have found a way and eventually done it. I appreciate reading this, because I look at the things I want to do and then or not happening and upon inquiry see that I have not been willing to do whatever it takes. Now I get to choose again!